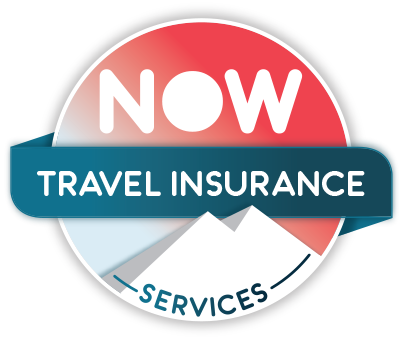 Here at NOW Travel Insurance Services, we endeavour to make the buying of travel insurance as quick and as stress-free as possible. We believe that travel insurance should be available to as many people as possible. People up to the age of 75 can be covered (70 on Annual policies), all pre-existing medical conditions are considered with many covered free, over 100 sports and activities are included on all of our travel insurance policies. Our values are built around a fundamental respect for the individual. We believe that purchasing travel insurance should be a quick, simple and transparent process for everyone. We will continually innovate our products and services, and the way that they work to keep this value true. We are a team. Respect, equality and discretion will be displayed at all times to all clients, partners and team members alike. We also expect our clients and partners to treat our team members with these same qualities. Now Travel Insurance Services is a trading name of Less Clicks Limited. Less Clicks Limited are authorised and regulated by the Financial Conduct Authority, firm reference number 710589. You can check this on the Financial Services Register by visiting the FCA’s website https://register.fca.org.uk/ or by contacting the Financial Conduct Authority (FCA) on 0800 111 6768 or 0300 123 9123. Less Clicks Limited is a company registered in England and Wales with company number 08344708, registered address 16 Great Queen Street, London WC2B 5DG. Our Travel Insurance is underwritten by Travel Insurance Facilities (TIF) and Insured by Union Reiseversicherung AG (URV), UK. URV form a part of Germany’s largest banking group, Versicherungskammer Bayern Group (VBG). Thanks. You have been fair and very accommodating. I have to say I like your touch with the personal addressed e mail that followed and your sentiments. I would take this opportunity to thank you for the assistance and help shown to me during the very unpleasant and difficult time I suffered during my recent trip. I will recommend you to all my friends and family as one hears of horrendous stories of travel insurance companies not paying out on claims so it makes a pleasant change to be able to recommend one that is caring and understanding towards their clients. Thank you again for your help - it’s put our minds at ease. NOW have been very easy and helpful to deal with. Many thanks for your excellent customer service! After 30+ years of paying travel ins we finally had occasion to claim. Now travel insurance settled the claims with no fuss or arguments. First class service!